The Gap is only visible in Safari (latest), not Firefox or Opera, but the ‘circles’ are on all. Caches have been cleared, site reloaded from scratch, but no joy! Orbit is from Elixir not from Joe Workman. I use Top Bar extensively, but I don’t have orbit. I don’t see a gap under any of my top bars, so maybe it’s an Orbit setting. I don’t see the circles in the top bar menu, but I’ll have a look at my settings. It looks like the menu items are bing displayed as a ‘list’ with bullets. I sell a stack called Orbit that I’ve had for a very long time now, but Foundation also has a slider named Orbit as well. The one in use on the page linked by @NickWB in the original post above if the Foundation stack. and it’s this that is causing all your issues. I don’t have Font Pro - is there a setting in there that controls list / bullet styles? 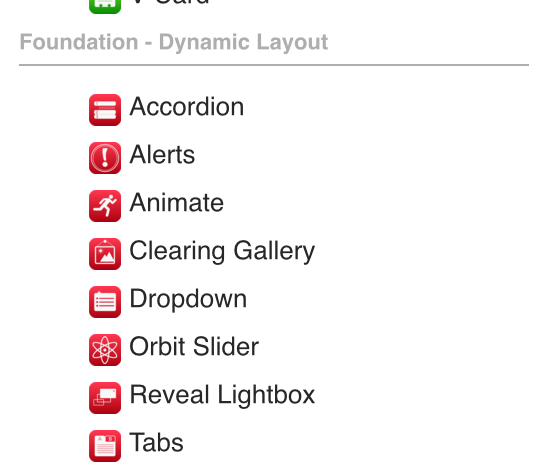 I only see that gap between the menu and orbit in Safari. In Firefox, Chrome and Brave it doesn’t show. Looks like it’s the extra ‘o’ that shows in the RH edge of the ‘gap’ that might be causing the problem? Thanks Stuart, not completely cured, but you are a hero here! Now I remember why ‘Force’ was on - I find Font Pro extremely troublesome. Now all my Typekit fonts have miniaturised themselves again and the site looks like garbage. Serious point here @joeworkman - If I use ! 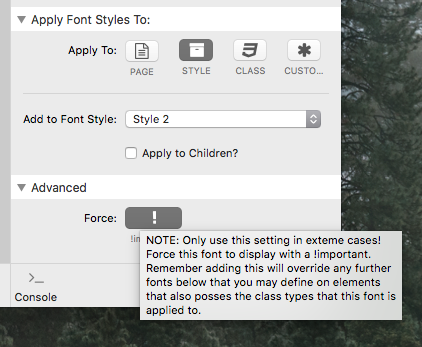 Force in Font Pro, the fonts are the correct size and behave as I would expect, but I am causing issues with ‘Top Bar’ Menus. As soon as I remove ‘Force’ the fonts revert to approx 0.7 em and look ridiculous. I have seen this issue for a while, but had not linked with top bar issues. Am is missing a trick here somewhere (and should Font Stacks / Styles be in a Single Column stack)? I would doubt that having the “Force” option would have anything to do with the circles being applied. What Stuart(@habitualshaker) pointed out is more than likely the issue and shouldn’t have been placed there be any kind of “font” changes. I would bet what you’re seeing is unordered list styling. See navigation items are almost always stored internally as an unordered (something ordered) list. Something has added that styling (circle) to the unordered list. Thanks Doug, that makes a great deal of sense. What I cannot workout is what I can have done in a stack, with no coding or CSS tweaking to add that styling to an unordered list. All was fine this morning until I changed the name on a page and moved the order of the Info page in the page list. I’m not at a Mac now(on my iPad), so I can’t help much tracking it down. If someone else can help you great if not I would suggest process of elimination. @swilliam I have spent half the day in fontPro style settings - currently going through all the JW FontPro videos to recheck the way I’m doing things. Doug, Stuart, I owe you a beer or two! So Style 2 had a list applied to it for inset text (I don’t remember doing it, but never mind). I still cannot find how the menu has Style 2 assigned, but turning off the list in style 2 has solved the issue. 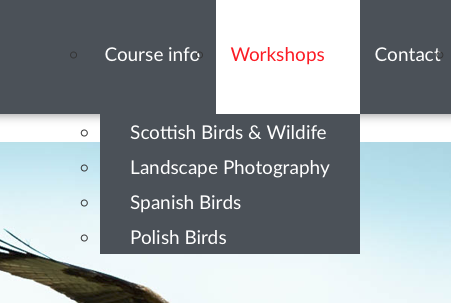 I still need to work out why all the site text is small without ‘Force’ but issue fixed, Thank you very much!! There is not one simple fix unfortunately. 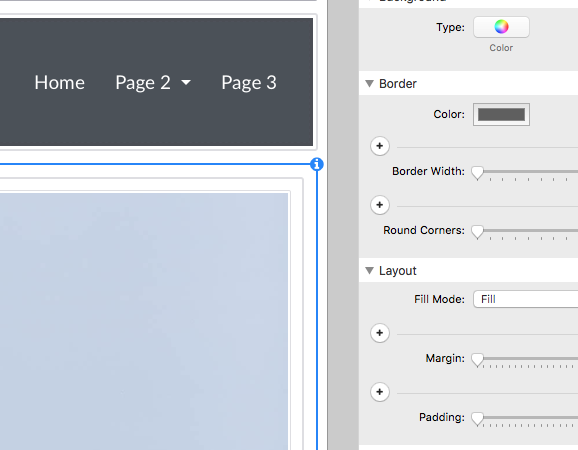 Using standard web fonts is the easy way, but to make things look better and more unique means using Typekit or G fonts with Joe Workman’s Font Pro. Thanks I guess I will try keep my sites uncomplicated. g (oogle - I hate swearing) fonts are free and Font Pro is very powerful.